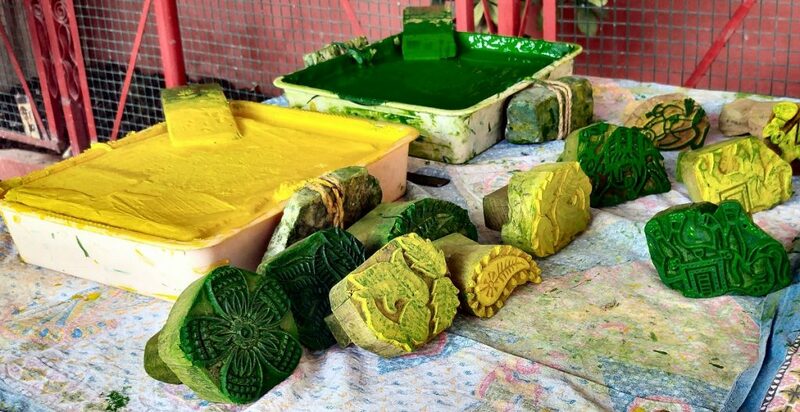 It doesn’t matter if you are in Jaipur for an hour, a day or a week, the curious juxtaposition of the old and new, the artisanal and the manufactured or the common and the royal, it is bound to leave one intrigued. 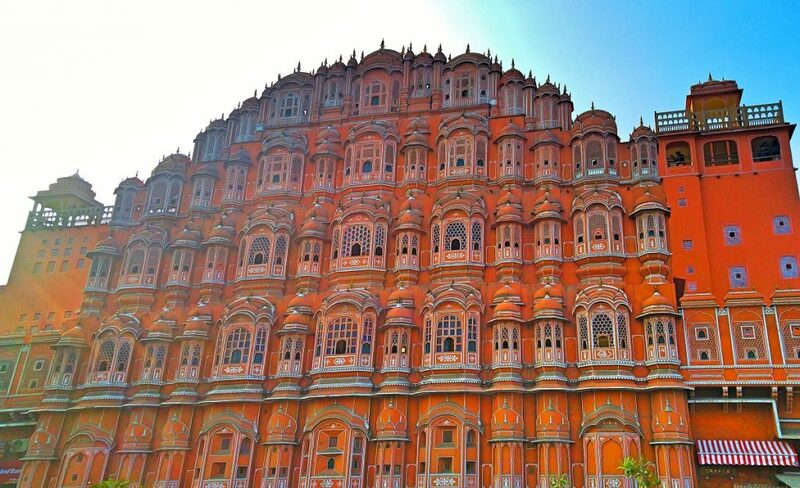 A day in Jaipur, or “the pink city,” though not ideal, is good enough to visit and explore the splendour of its majestic past. 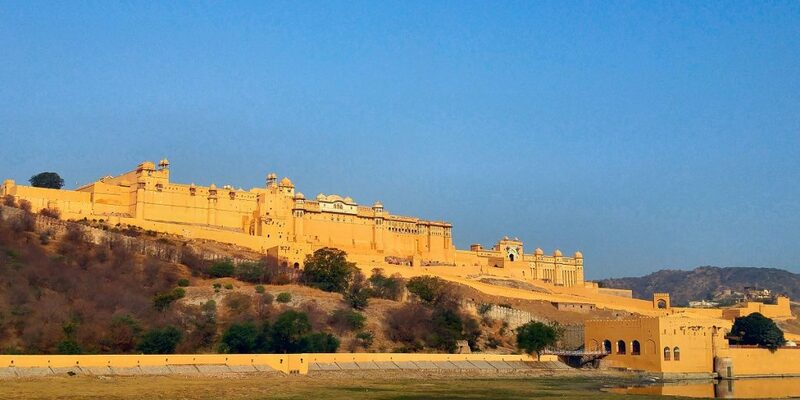 This gigantic fort is the major tourist attraction of Jaipur and should be the first visit on your itinerary. 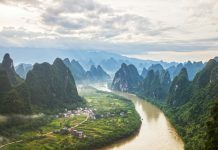 Located 11 km from the main city in the small town of Amber, the majestic fort is a UNESCO World Heritage site and requires half a day (at least) to explore. 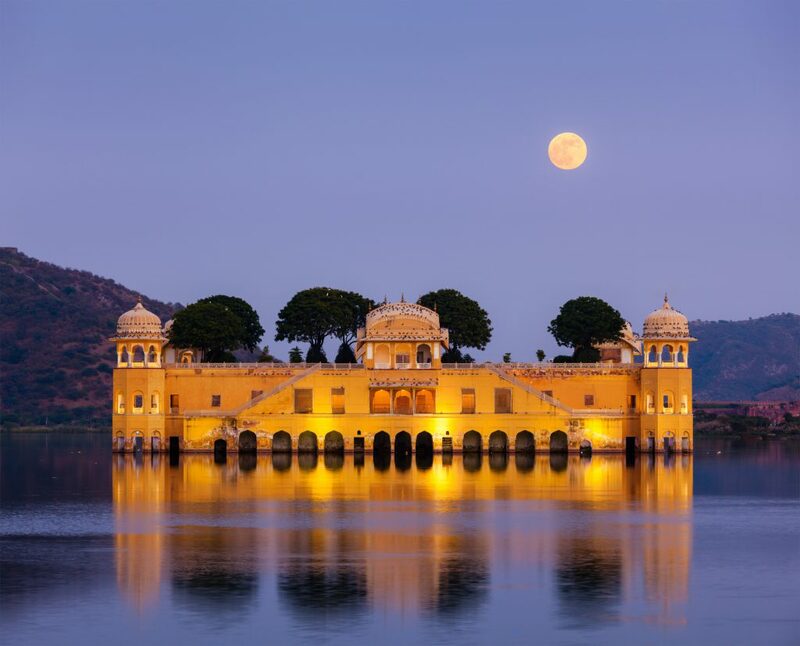 Built by Raja Man Singh in the 17th century, the magnificent fort looks over Lake Maota. The extensive palace complex is divided mainly into four sections and has plenty of fairytale-ish history associated with each of the structures. Diwani-i-Aam, Diwani-i- Khas, the Sheesh Mahal and Sukh Niwas are the major attractions inside the complex. Intricate carvings on the roof and pillar can be found all across these structures each with a story of its own. 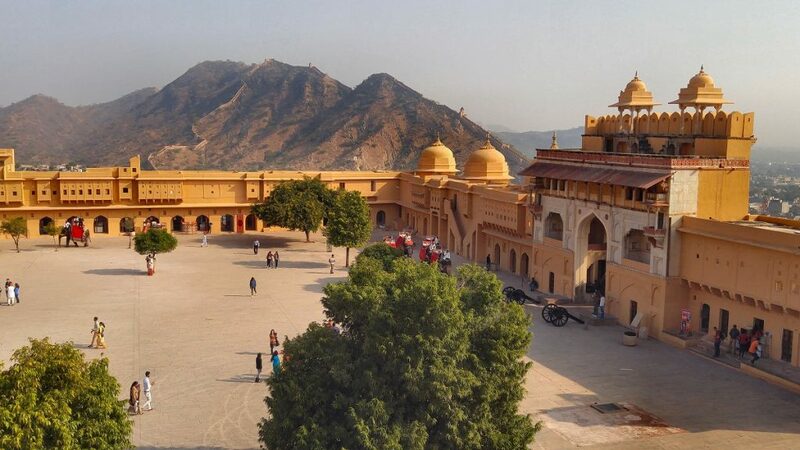 The most gorgeous palace of these, and the highlight of Amer Fort is the Sheesh Mahal (The Mirror Palace), also called as the Jai Mandir (Victory Palace). The multi-mirrored ceiling is exquisite and the walls reek of silver glamour. Such extravaganza on the wall is unique and is unlike anything that you would have ever seen. 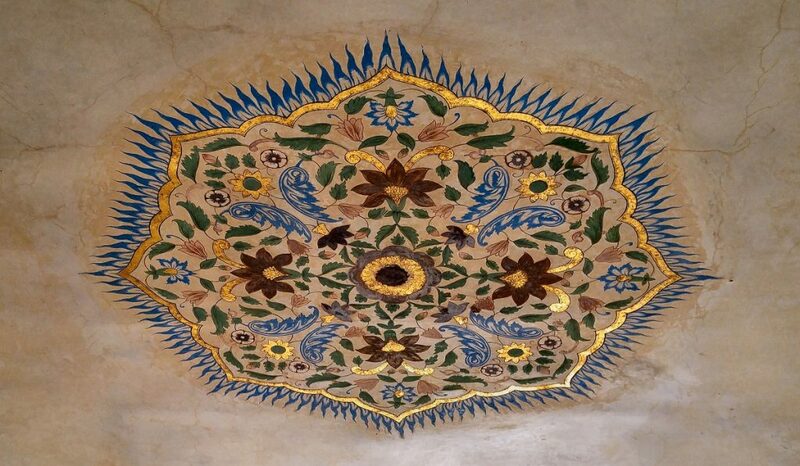 Another interesting structure in Amer Fort is the zenana (women’s quarters). The section is so designed that all the rooms open to a common courtyard, but are accessible through hidden pathways. This was to ensure that none of the king’s muse knows whom he is meeting for the night. Just six km from Amer Fort is the beautiful Jal Mahal. Situated inside the Man Sagar Lake, the palace used to be the shooting outpost for the King. Off limits to tourists now, it is a delight for photographers. There are also boating options which will take you near to the structure. Made of red sandstone, it is considered to be one of the best examples of Rajput and Mughal architecture. Intriguingly the palace is of 5 storeys out of which only the top storey is above water! There are plenty of vendors on the lake’s promenade selling various shopping paraphernalia. Jal Mahal is on the way back from Amer Fort. Twenty minutes from Jal Mahal is the oldest museum of Rajasthan. Built in 1887, the stunning museum contains collections from several parts of the country and has collections across categories of industrial art, history, education and economics. Albert Hall was designed by Major Samuel Swinton Jacob, a British military engineer and Director of the newly established Jaipur PWD in 1867. He spent the rest of his 35-year career in Jaipur, contributing substantially to the architectural activities of that time. Considered to be a perfect blend of Indo-Saracenic architecture, the museum consists of a plethora of exhibits ranging from larger-than-life sized paintings of Kings and their original swords & shields, and long barrel guns, to ancient cookware, cutlery and other household items. The iconic pink structure is just a 10 minutes’ drive from the Albert Museum. Such exquisite architecture is rare to see and is certainly one of the most beautiful palaces in the World. Though most tourists are happy to stop in front and click a few pictures, it isn’t a bad idea to visit and explore the place from inside. However, with the paucity of time, it is advisable to photograph the magnificent monument from the front as no other angle will do it justice. The honeycomb designed palace gets its name from the more than 950 perforated windows on the building. 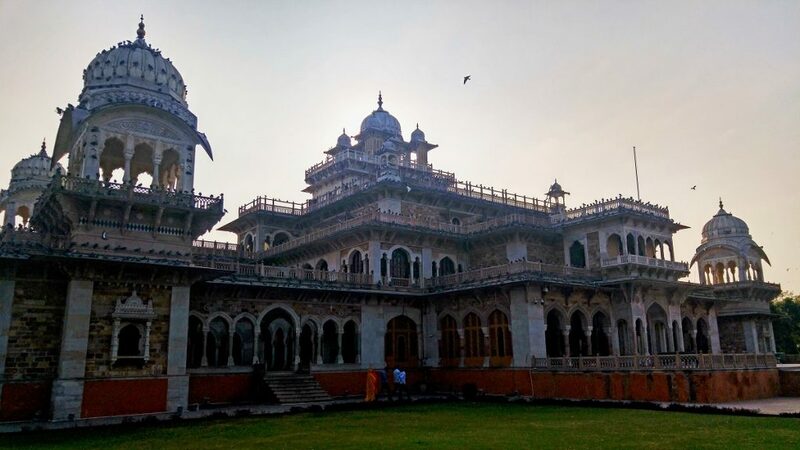 Built in 1799 by Maharaja Sawai Pratap Singh, it is said that the reason for the specially designed windows was to allow the Queens and other females inside the palace to see the city without being discovered or seen by any outsider. 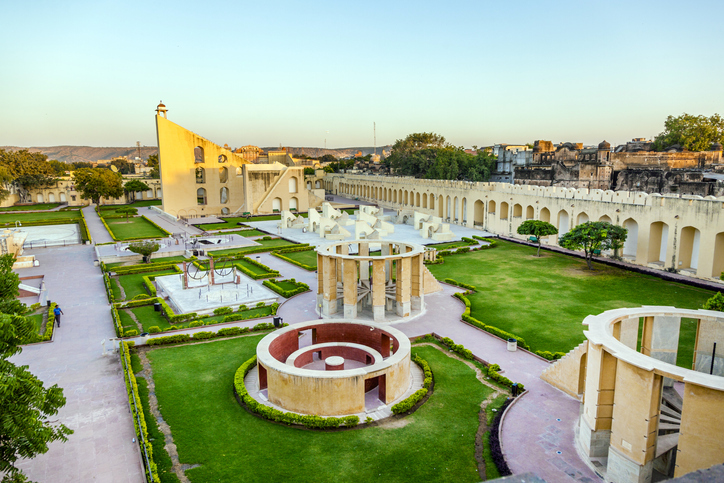 Just a block away from Hawa Mahal is the ancient astronomical observatory Jantar Mantar. Built between 1724 -30, this UNESCO World Heritage site consists of 20 fixed instruments and was constructed to observe celestial bodies with the naked eye. Buildings of unique shapes and sizes adorn this place each serving as a function for astronomical measurement. The masonry instruments range from a few feet to 90 feet high. The devices (yantras) are called Samrat Yantra, Rama Yantra, Jai Prakash, Digamsa Yantra, Nadivalaya Yantra, Dakshinottara Bhitti and Unnatamasha Yantra. 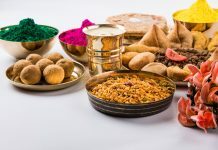 Indulge in some retail therapy at Rajasthan Small Scale Cottage Industry which sells a plethora of products made by local artisans – jewellery, gemstones, carpets, quilts, hand block printed sarees, souvenirs, shoes and much more. Prices are a bit on the higher end. End your day by trying some delicious Dal Baati Churma Kachori and Ghewar at the ethnic resort of Choki Dhani.